Summer is moving with its terrific charm. Hope you’ll be fine at your homes and enjoying the sunny morning ending with cool breezes. We have shared too much stuff related spring summer season, many designer collections and arrivals by top famous fashion brands. We’ve done with Maria B. Gul Ahmed, Alkaram, Nimsay, Junaid Jamshed, Mehdi, Zara Shahjahan and many others. Now bringing something special for you ladies. Yes! I am talking about Kurtis; every eastern girl loves wearing kurtis. There is a big trend of wearing kurti dresses in East, especially in Asian countries like Pakistan, Bangladesh, India, Iran, Iraq, Israel, etc. They are perfect to wear for all functions, festivals, events, and daily casual routines. These dresses are designed for modern to desi girls who love traditional customs and Asian fashion. These days teen girls desire to add both design and style and wants to get updated with latest fashion trends. She kept searching online to get the beautiful designs and latest collections, so she kept up to date with the hottest trends of the season. You will see the beautiful, bold and dark colors contrasted with light hues to make beautiful shades that are applied to amazing blends in them. Very beautiful hand embroidery, Kashmiri embroidery, and machine embroidery is done along with dabka, gotta and Zari work on necklines and at the bottom that is very attractive. 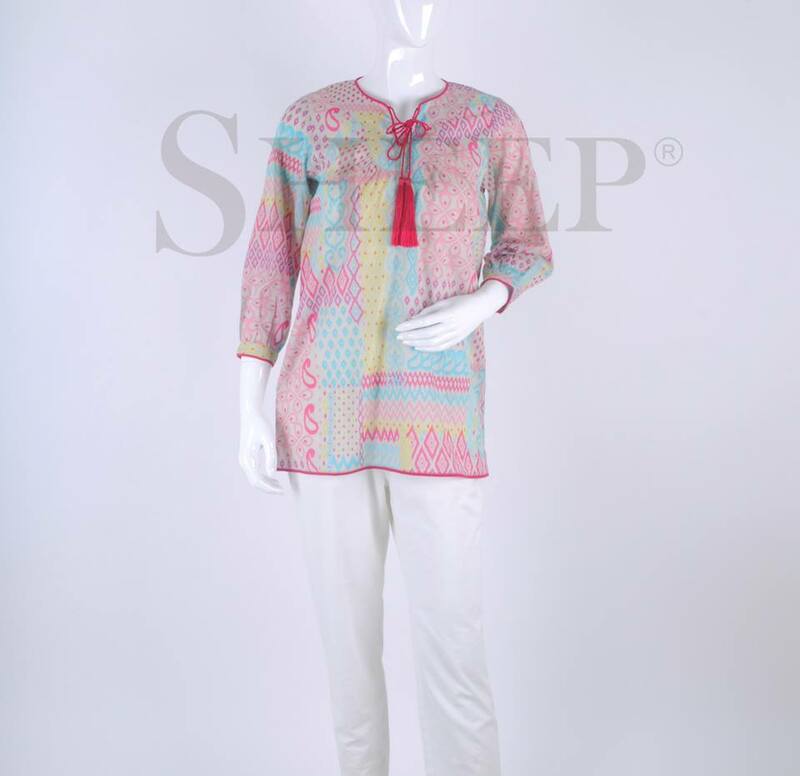 Many other shirts in this series are simply block printed; some are digitally printed, and few have screen printing All the designs are so unique and chic to wear. You can catch any of your favorite and most preferred items for your casual, formal or party wear eve. Now a days style of making use of short front and long back sort of shirts are famous. New generation loves to innovations with good creativity. Same like in Kurtis, many new patterns and layouts are being developed, and many brands are working to produce casual and festive collections. 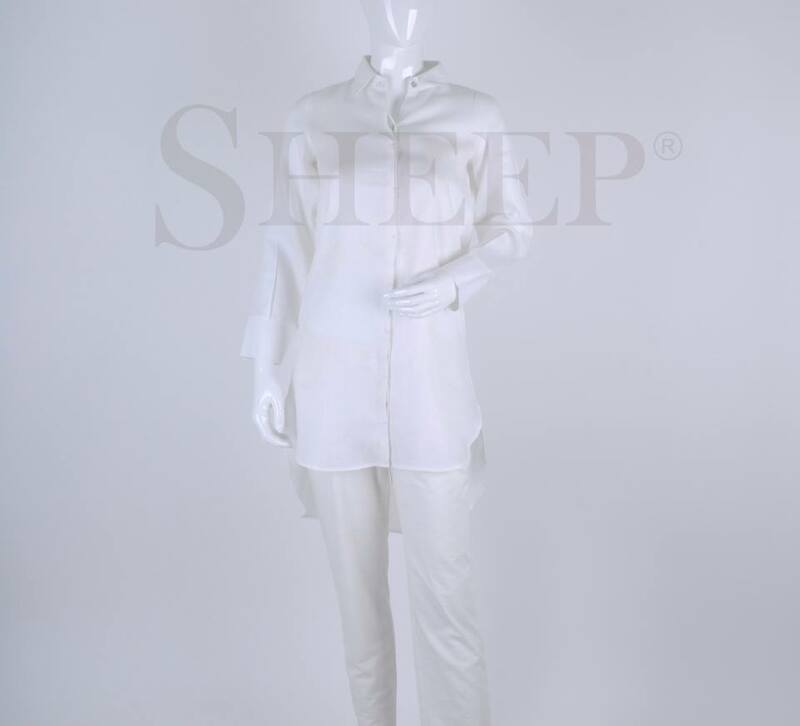 Sheep is not so far; it is one of the fast growing brands that produces valuable clothing including seasonal as well as occasional arrivals. 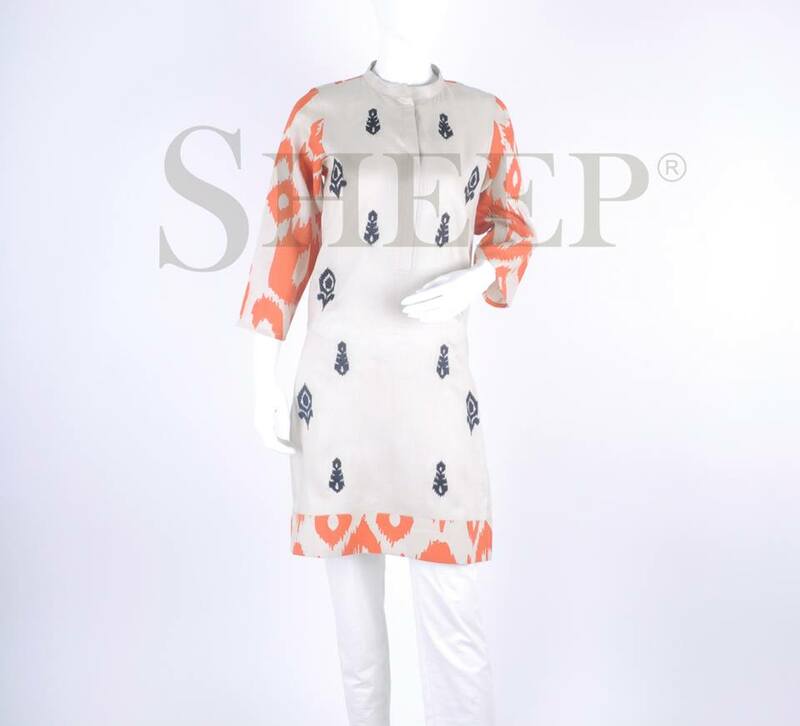 The collection includes CHARMEUSE, SILK, LINEN Kurtis, LAWN-COTTON Kurtis, Fancy Chiffon Kaftan Kurtis/ Tops and jacquard medium length shirts/ Tops. 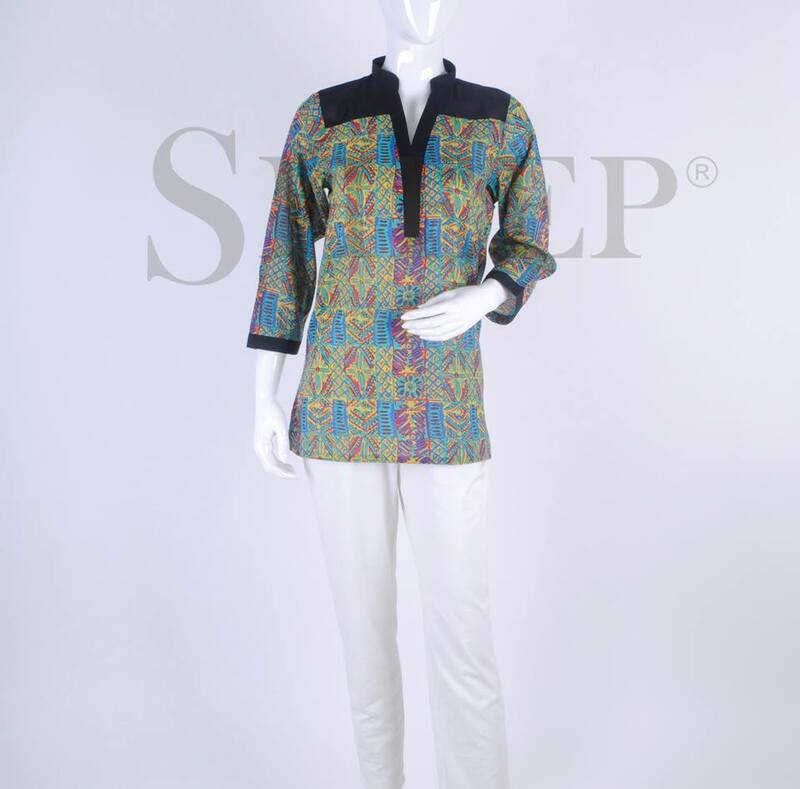 Recently SHEEP has launched its embroidered range of women fancy kurtis. The assortment is loaded with very beautiful dresses with mind-blowing designs and styles. 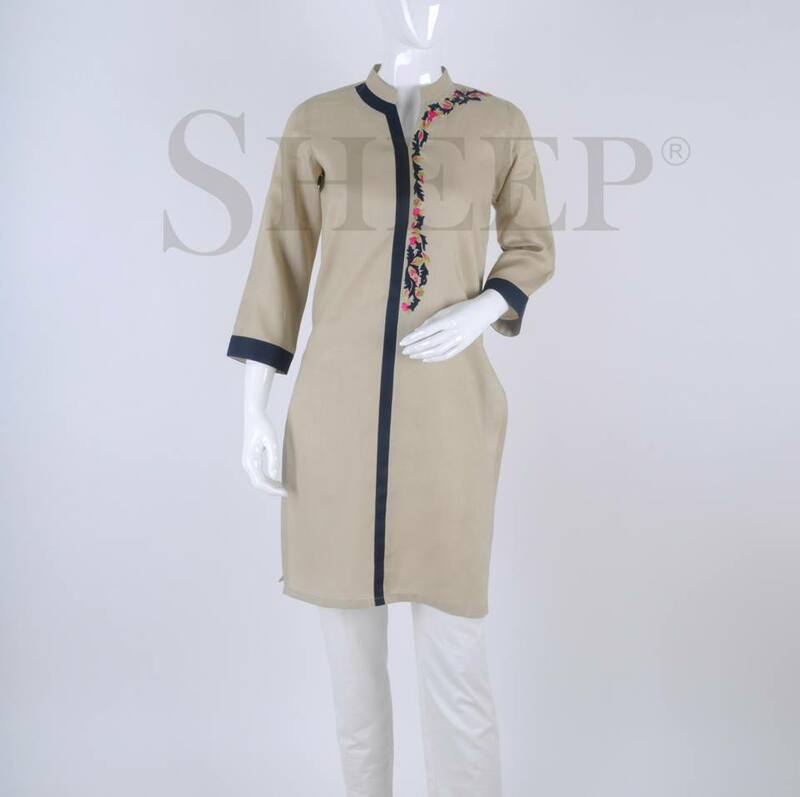 You can pair up these Kurtis with tights, palazzo, trousers, pajamas, jeans, etc. Now a days cigarette pants with medium length Shirts/ Kurtis are very famous in Pakistan. So you can also for it. This collection is now released and also available in all leading outlets of SHEEP. In this kurti design collection, much fancy work is done with adornments. Fancy buttons, network, and lacework is also being done on these shirts to give them a stylish look.